Reactions in New York to the horrific mass shooting in Las Vegas included condolences and calls to increase controls of automatic weapons. A state law that could help prevent acts of violence has also gained renewed support. WAER's Chris Bolt spotlights local reaction to the shooting in Las Vegas. Governor Cuomo ordered flags at state buildings to fly at half-staff all week in memory of the innocent victims in the Las Vegas shooting. In making the proclamation, Cuomo also asked how many more times must there be devastating effects of mass shootings before we act as a nation. Citing the safety of citizens and visitors of New York as a priority, the governor has added additional, precautionary safety measures to key points around the state. The group New Yorkers Against Gun Violence is saying the Las Vegas shooting is a case that points out inadequacies of gun laws. Spokesperson Paul McQuillen says both Nevada law and federal laws allow assault weapons, even machine guns. The shooter was just another good guy with a gun. In this case many guns and a cash of guns, as they report, until he pulled the trigger and now he becomes a mass shooter. How do we keep those people from getting guns? McQuillen notes such weapons are illegal in New York to have or sell. But he says since federal law doesn’t outlaw their purchase, people can bring them in from other states. They cross state lines and states with very open gun laws like Ohio and Pennsylvania, and the iron pipeline from the south bringing guns into New York State. No, we’re not protected from that because of that easy access. Because there’s no national gun policy, that’s what we need to have enacted. He says it’s Ok for politicians to express condolences and say prayers for gun violence victims, but he says action needs to be taken. McQuillen is pushing for passage of a law in New York that supporters say could prevent acts of violence – if someone has information one might be brewing. The Extreme Risk Protection Order, otherwise known as ERPO, bill would allow family members to tell law enforcement or a court if they suspect a relative is showing warning signs, amassing guns or other red flags. Without the law – which is now stalled in the state Senate – the legal system may not be able to suspend the person’s access to firearms, even if reported of suspicious activity. 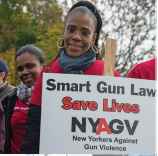 New Yorkers Against Gun Violence states that an ERPO law would be successful in preventing and reducing gun-violence. The group also says the law would prevent and reduce suicides, citing that other states with ERPO laws have seen lowering suicide rates. What is an Extreme Risk Protection Order and how is an ERPO obtained? · An Extreme Risk Protection Order is a court-issued order prohibiting people found to be dangerous to themselves or others from purchasing or possessing a firearm, rifle, or shotgun. · The New York State ERPO bill entitles a family member, household member, police officer, or district attorney to petition a court for the ERPO. · The court may grant a temporary ERPO if the application presents sufficient evidence of threats, serious bodily harm, attempts at suicide or homicide, or other violent or dangerous behavior to oneself or others. · If the temporary ERPO is granted by the court, the individual in crisis will also have the right to a hearing. · The NYS Police, applicable law enforcement agencies and licensing officers, and the NYS Division of Criminal Justice Services will all be notified of temporary and long-term ERPOs. 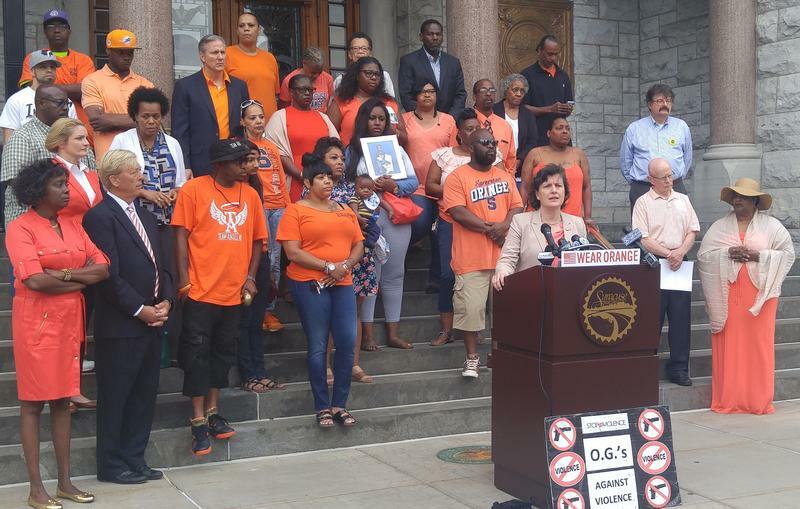 The impact of gun violence in is seen and heard on a regular basis in Syracuse. Parents Rita and John Fredette know this firsthand. Their son Joshua was killed in 2005. "A monster stole the breath away from my son," Rita Fredette said. "No matter what we all do to stop and impact violence, that cannot heal my heart. "How do you get well? I don't know," John Fredette said. "Every day is yesterday, July 2, 2005."